The Fort Worth labor and employment law attorneys at Hutchison & Stoy, PLLC stand up to wrongdoings in the workplace. Our attorneys champion the victims of employees who have bared the wrongs of their at fault employers. 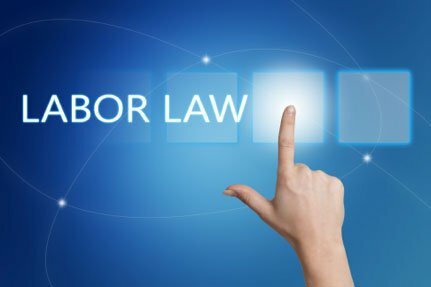 Employment and labor law encompasses a wide rage of issues. The major areas of labor and employment litigation include, but are not limited to: Discrimination, Sexual Harassment, Retaliation, Fair Pay and Fair Labor Standards Act Violations, Leave, Breach of Contract, and Governmental Employment / Whistleblower. Each major area of labor and employment litigation has many subsets. Please select the specific area of labor and employment law affecting you. If you do not see an area listed directly on point with your issue, please contact us for additional information. As a general rule, employees are entitled to compensation for the work and labor they perform for their employers. Often times, employers attempt to get work for free or for unfair pay. This can constitute a violation of the law. FLSA and Fair Pay Violations can occur under the following circumstances. Some employees work under employment contracts. An employment contract, like any other type of contract is generally binding on the parties who entered into the contract. Often times, employers will fail to comply with the terms of the employment contract in hopes that the employee will just walk away. Don’t fall victim to this ploy. Contact the Fort Worth contract employment lawyers at Hutchison & Stoy, PLLC, PLLC for a free case evaluation today. Losing your job is devastating, particularly when it is through no fault of your own. Suddenly, you have no income and no way to support your family. Oftentimes, the employer even fights you on receiving unemployment benefits. You feel mad, helpless and even humiliated. We understand those feelings. We can help you through the administrative process that is necessary before filing suit, sue the ex-employer and tell your story to a jury. Contact the Fort Worth labor and employment lawyers at Hutchison & Stoy, PLLC today for a free case evaluation.